Remember this mural at Canada’s York University, first highlighted by Varda and then (inadvertently) repeated by me? 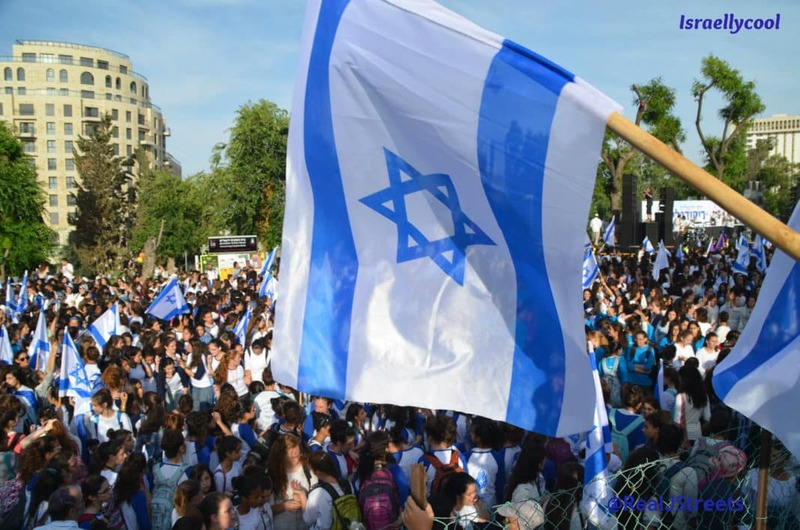 Recently, Jewish businessman Paul Bronfman pulled his support from the University because of it. Now, guess which loud-mouthed BDSHole is putting his two cents in? 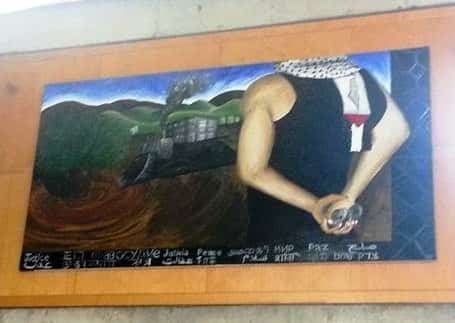 Pink Floyd frontman Roger Waters has taken sides in a controversy at York University in Toronto, where businessman Paul Bronfman has demanded the removal of a painting that shows a Palestinian holding stones as he faces a bulldozer. Waters wrote that Bronfman is wrong to “use his economic muscle” to try and force removal of “Palestinian Roots,” which is displayed in the York University Student Centre, a building on campus that houses the York Federation of Students. “Happily York University students and faculty members seem to recognize that protest is ok, and that freedom of speech is a fundamental right and not for sale to the likes of you,” Waters writes. Here is the full text of Waters’ letter. Re: the mural depicting a bulldozer and a protester that hangs on a staircase at York University. Paul Bronfman, who is trying to use his economic muscle to effect the removal of this painting should note the following. Let me be very clear about it. The palestinian depicted in the artwork is holding a rock. It is fact that these rocks can and do sometimes maim and kill. Roger Waters is not just supporting this, but even has the chutzpah to claim that such violence is a moral duty. Not only that, he tries to strip meaning from the word “terrorist”, and claims “if the Palestinian people were to attain “Justice” under the law, there would be “Peace” in the Holy land” – ignoring the reality that palestinian terror groups – and even BDSHoles – want the destruction of the Jewish state of Israel.